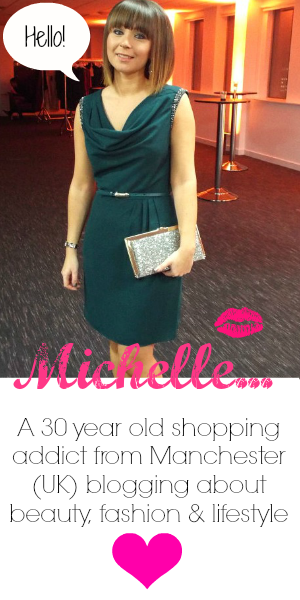 Recently I attended the #MCRbloggersmeet and received some great products and samples to try out. 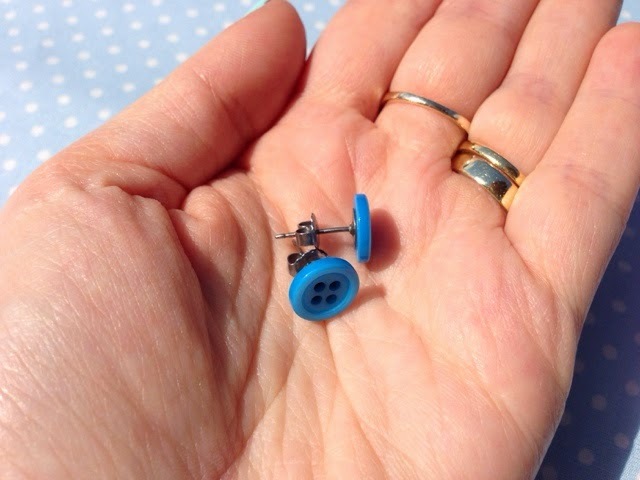 I think this is a great way of discovering new brands and one thing I was really happy to find in my goodie bag was this cute pair of button earrings from Lymehouse Jewellery. Lymehouse Jewellery was started up in 2012 when Jo was fed up with the usual 'costume jewellery' on the high street and wanted to bring fun, unique and affordable jewellery to the market. 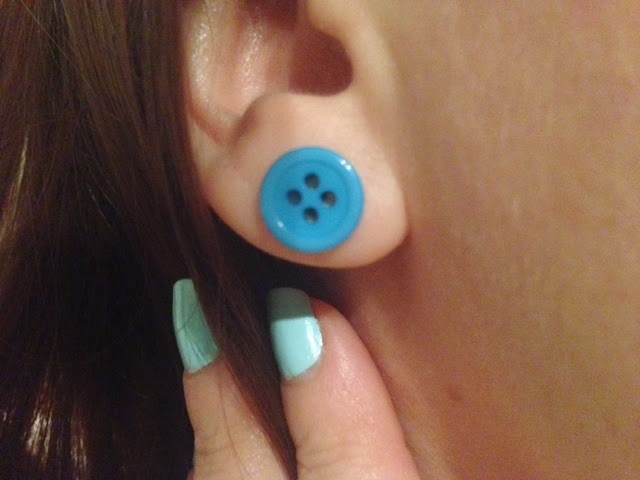 Their signature items are the button earrings and I received these cute round blue buttons which I love! I think the colour is really striking and they look great teamed with a bright pink lipstick - very eye catching! I've worn these a few times now and received some really nice comments. I'd wear them for a day or night time look - they look fab with jeans and a top or they can add a little something different to a glam outfit for a night out. 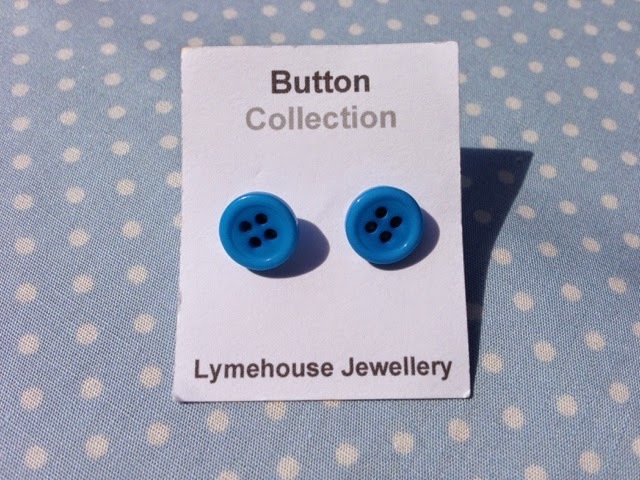 The Lymehouse Jewellery website is full of different colours, patterns and shapes of button earrings. 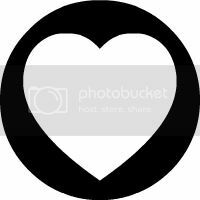 I love the heart and star shaped ones and the floral ones that have a gorgeous vintage feel to them. All the earrings are nickel free which is great for anyone with sensitive ears, and they are only £4 per pair which is a bargain! I love wearing items of jewellery that are handmade - they are so much more personal and it makes me feel as though each item has a story behind it. What do you think of these button earrings? Do you own any jewellery from Lymehouse?